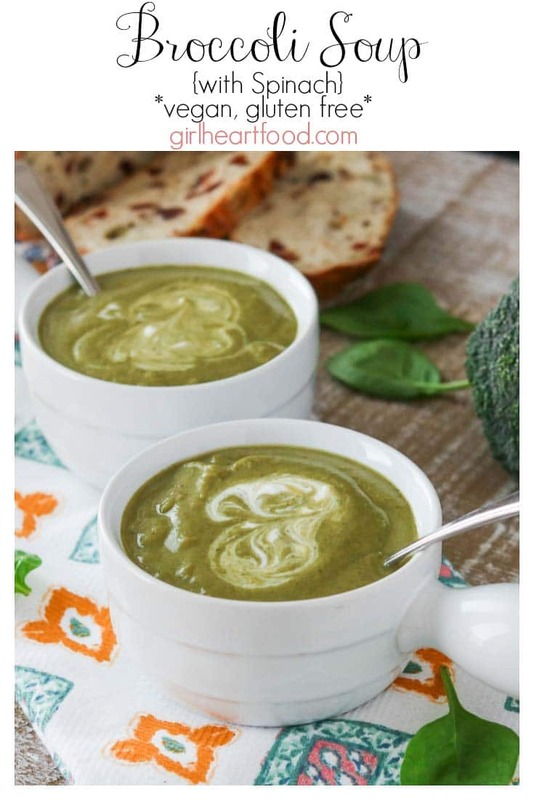 Who doesn't love a comforting bowl of soup? It's like a big hug in a bowl that'll warm ya right up! 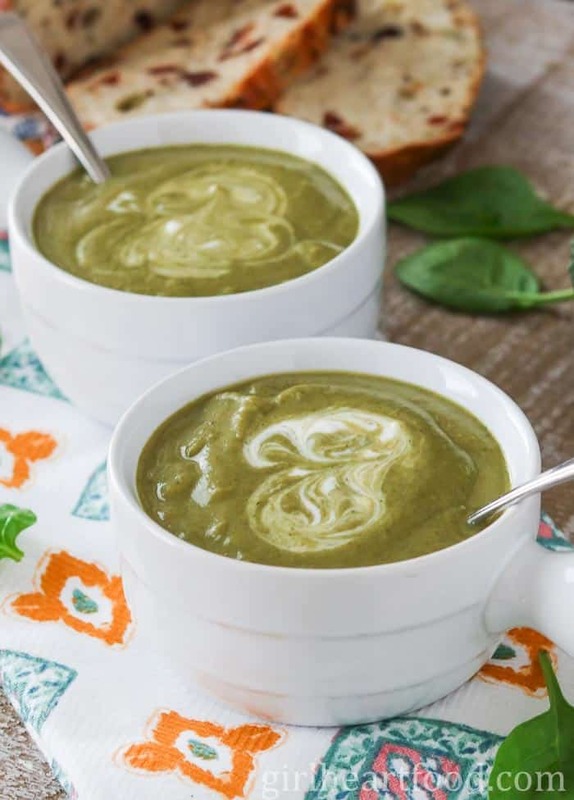 Check out these easy and satisfying soup recipes... there's something for everyone - a light vegan Asparagus Spinach Soup, ultra comforting Chicken Noodle Soup, flavourful Black Bean and Sweet Potato Soup and more! There is nothing more comforting than a big bowl of this easy chicken noodle soup. The flavourful dill infused broth with chunks of chicken, veggies and egg noodles make for one belly warming bite. This one is sure to be a favourite in your home as it is ours! This Curried Carrot and Sweet Potato Soup with coconut milk is one of my favourite recipes! 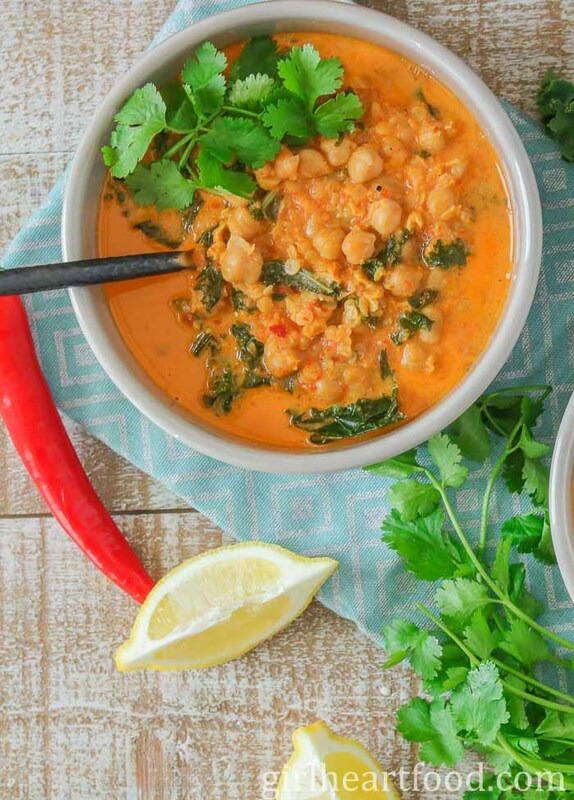 It’s easy to make, absolutely delicious and good for you. Plus, it’s vegan and gluten free. It’s flavoured with curry paste and coconut milk and then there’s a touch of lemon squeezed at the end to brighten the whole thing. This one will warm ya right up on a cold day!